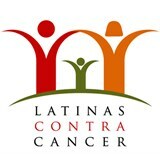 The 5th Biennial National Latino Cancer Summit takes on the complexity of Precision Medicine, what it is, why should we care, and will it really serve the Latino community. Listen to experts excited about the possibilities of new answers to the cancer conundrum, the potential for targeted treatments - driven by big data based on increasing genomic knowledge, new drugs and clinical trials. This Summit was convened to create partnerships engaging hospitals, labs, universities and community leaders to frame new models of inclusion and care from the grassroots to the academic towers! Improved communication can improve healthcare outcomes. New forms of media are providing more convenient, richer and impactful communications. This panel will examine different uses of communications strategies to improve the health of Latinos. Including effects of social media on reducing Latino childhood obesity, use of mobile computing to generate a personalized report to increase discussions about women’s risk reduction and genetic counseling as well as data from a recent survey related to patient understanding of genetics and testing. The Precision Medicine Initiative: Will Latinos be at the table or on the menu? El objetivo de este panel es promoveer la importancia de incorporar al promotor en el equipo de investigación en sus diferentes fases. Así como determinar la importancia que juega el promotor dentro de los proyectos de investigación. Los diferentes panelistas tendran un tiempo para exponer sus experiencias en base a las investigaciones o esfuerzos realizados en los que el promotor ha participado.